Now in the world android is the most popular OS (Operating System) for the smartphone. Every smartphone user like this OS, because this OS using system is very easy so that every person easily understand. 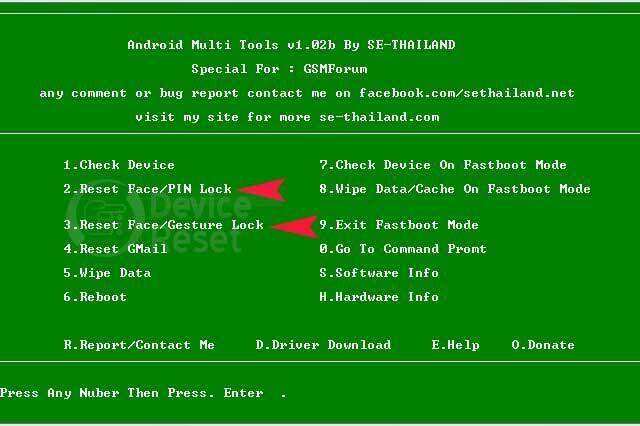 But now android smartphone common problem is pattern lock, pin lock. Maybe you’re thinking why is this problem. Each latest smartphone has a security lock, the name of the pattern lock, which works well as a mobile security. If you ever make a mistake with 5-10 times in the pattern lock, Then your mobile phone is pattern locked. If you faced such problems and repaired a mobile service center. But if you want, you can solve the problem at home. Such problems are usually the solution is hard reset or flash. But when you use hard reset solution, you will lose all valuable data from your phone storage. The pattern is locked and you can not backup your phone, otherwise, the data is deleted, it can not recovery. Already I will show your how to hard reset a smartphone. But now I will show you how to remove pattern lock without data loss Any Android Phone. How To Remove Pattern Lock Without Data Loss. There are 2 ways to remove pattern lock without data loss. 1. How To Remove Pattern Lock Using SD Card. 2. How To Remove Pattern Lock Using PC (Personal Computer). How To Remove Pattern Lock Using SD Card. 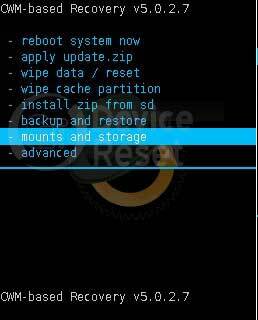 If you want to remove pattern lock using SD cards, you must have to know how to ROOT ANDROID. Because, to Remove the lock pattern, you have to be the Rooted phone. Ok, let’s see how to remove pattern lock using the SD card. 1. First Download “Aroma File Manager” successfully and it free. 2. Now copy the Aroma File Manager on SD and insert the SD card on your Smartphone. 3. Now press VOL UP KEY, HOME KEY, POWER KEY, when your phone device vibrates the release only power key, now you will see in your mobile screen CWM recovery mode. (Note: Here I will give you only for Samsung mobile CWM recovery mode way, If you use different brand mobile phone, you go to the www.google.com and search How to recovery mode “your mobile name and model”). 4. After getting recovery mode, Now use the VOL DOWN key and select Mount and Storage and the select MountEverything >> MountSystem >> Mountdata >> Mountafs >> Mountpreload >> MountSDcard >> MountExternalSD, Now scroll down and press “Go back” by using POWER KEY for main menu. 5. Again use VOL DOWN key and select “Install zip from SD card” and press POWER KEY then “Choose the zip file from External SD card”. Now find the “Aroma File and Install it” then press it and again select “Yes— Install Aroma File Manager” then press and install it. When you install Aroma file you got Aroma File manager. 6. Now go to the menu and press settings and then, at last, have an option “Automount all devices on start” press this option and then press DONE. Again press menu and then press Exit key and press Yes key. 7. Again “Choose the zip file from External SD card”. Again find the “Aroma File and Install it” then press it and again select “Yes— Install Aroma File Manager” then press and install it. Again you got aroma file manager and go to data folder >> system folder >> gesture.the key now long press this file and then press delete icon and then Yes. Again press menu and then press Exit key and press Yes key. 8. Then ****go back**** menu and press it. Now press reboot system now by using POWER Key. 9. After rebooting your device you see in your mobile screen pattern lock option, use any pattern and your system is ready without data loss. How To Remove Pattern Lock Using PC (Personal Computer). In this way removing the pattern lock without data loss you need a PC. At first, you need to check your android mobile ADB (Android Debugging Bridge). For checking your ADB you need to connect your android mobile via USB cable on your PC when you connect USB cable, then you check your android mobile status bar android icon, if you see android icon then you will sure you ADB is enabled. 1. First Download Android multi-tool. 2. Now open the zip file and bubble click the Android Multi Tool. (Note: This a crack file you don’t need to install this software). 3. Now press 2 for pin lock and 2 for pattern lock then press enter. 4. After resetting pattern lock your phone will reboot and your problem is solved. Every time we are trying to provide some new solutions. Now I will show you how to remove pattern lock without data loss. See our step by step methods and enjoy it.